Determine UPS Ground delivery time to your location from our zip code by referring to the chart below. 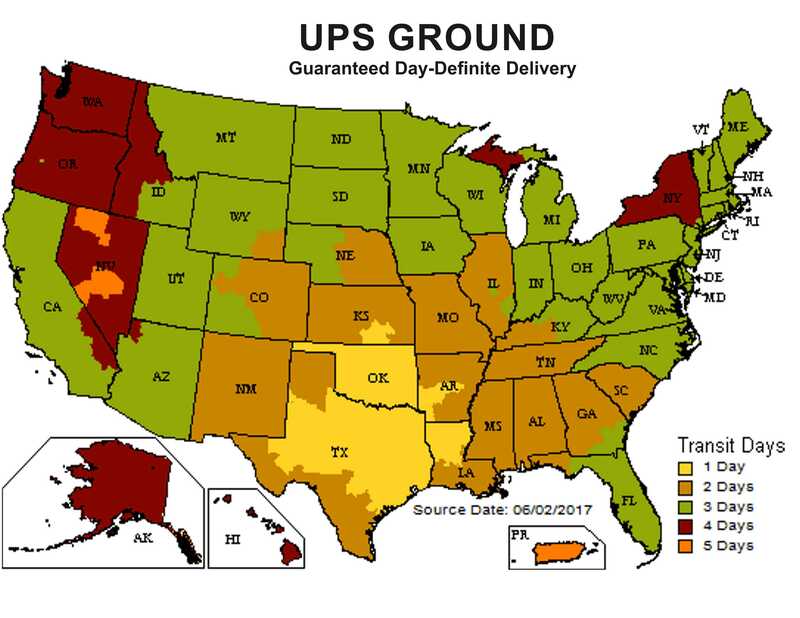 Example: If you are in northern California, your zone is dark orange, indicating a delivery time of 3 working days by UPS Ground from our location in Texas. For faster delivery, UPS 3-Day Select, UPS 2nd Day, and UPS Next Day services are available through the shopping cart system. zip code 76247 (Graytex Papers).